Perhaps Apostasy Suite is an audio meditation on the darker sides of faith or maybe what producer Chester Hawkins considers to be gloomier belief systems explored via brooding drones, dusky ambient and moments of forbidding noise. Glancing at the CD digipack art work with the modern architecture design of a Church window up front and the close-up on the crucifix on the back, I expected the first track, “Mass/Easter” to be imbued with piety, wonderment, and reverence. Rather the track typifies the whole album which starts off with tones that sound like Church organs processed into drones and then travels into darker tones and moods. But if you think about it, the story of the crucifixion is a dark one so one can say that the music is at least topical. By way of digression, I came to think of much of this album somewhat akin to the Spire: Organ Music Past Present and Future compilation put out by Touch Music in which various artists used Church organs as the artistic source to process into drones or into field recordings. Where the comparisons depart is the source material, as Hawkins uses modular synth, prepared vinyl (whatever that is), live loops, sequencers, oscillators, keyboards, vocoder, lapsteel guitar, mobile telephone for composition. Except the mood lacks the optimism of Touch and Hawkins’ overall mood tends to the gloomier. “Equinox” is a shifty ambient drone piece with electronics that emit like the hum of a transformer, the lulling of synthetic crickets chirping into oncoming washes of drones and then once again morphs into what could be described as electronic-ambient. “Intifada” is a curious track title for a seemingly Catholic-themed album which opens-up droney enough until a kind of modulating fervency builds, perhaps to emulate the newsreel footage of fervent Muslims masses chanting fanatically. There is something in the tone, perhaps the fervent mantra-like mood of the album that reminds of “You Have a Yearning for Perfection” by Pablo’s Eye. “No Body” moodily opens with ambient bliss overwhelmed by overcast emotions and five minutes in clears into cloudless dreamy ambient again. “Exterminator Pump” might qualify as Hawkins’ attempt at dark techno with its sharp digital tones and mechanical rhythms that may be what The Terminator chills out to in between exterminating humans. In the first few moments of “Mass/Dissolution” there is a strong Touch artists vibe be it those from the Spire compilation or Philip Jeck, again shifting into angsty ambient (perhaps this is a new genre?) overwhelmed by drone surges that reach a crescendo of sorts and a disembodied voice calls out ‘test’ in a continuous, looping mic check. Apostasy Suite is certainly a moody album with varied textures and tones, but also a rewarding listen. 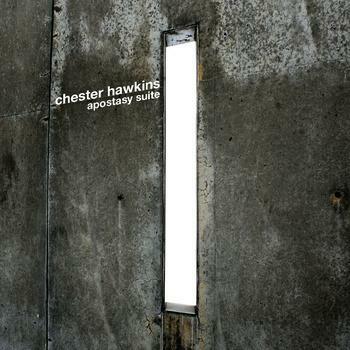 Chester Hawkins may be reflecting on faith or a lack of it, but maybe it does not matter because we are here for some fine ambient, noise and dark drone. “Bells Breath” is such a pure and simple concept that it is difficult to either analyse or fault. The sound of the bells of Ulm Minster, the tallest church in the world, has been digitally stretched and then layered. That’s it; plenty of bells but no whistles, no frills, very little further trickery, principally just the bell sound, inflated and resonant, mesmerising and soporific. Though it’s theoretically minimalist, the tones are rich and broad and very warm, capable of filling a space wholeheartedly. The pieces were initially created as part of a 2015 art installation within the minster itself, but out of context, as simply audio, it’s a sound with fantastic power. Initially conceived as an in situ installation, and released on Klanggold who are themselves based in Ulm, this is a piece of art that will definitely work in your home. The core of “Resonance Night” is an instrumental piano album, around which is built a very high-end electronica production full of sharp digital noises and sampled breathing. There’s a strong emphasis on melodic leads, often sparse rather than lyrical, some catchy, some improvised. The net result is somewhere between Planet Mu, Leaf, Chilly Gonzales, Brandt Brauer Frick and the rich contemporary vein of experimental soundscapes. Though the press release cites “piano drones”, I don’t wholly agree. Rhythm is a frequent presence here, and there’s often a steady and assured drive and pattern, whether it comes from the piano itself in pieces like “Resonance Train” and its partner piece “Resonance Night”, or from the heavy drum programming on “Sweet Glissando”. Atmosphere-led pieces like “Intermezzo 80 Hertz” are in the minority. “Melancholy Modulation” encapsulates the album’s common tone nicely, opening with clipped stabs of the piano’s lower register before transitioning halfway through into romantic chords and calmness, before boom! The following track, the standout “Anarchic Piano” kicks in, more bass piano stabs, rumbling kick drums, percussive effects, and complex chord stabs. It’s an album full of energy and variety and it’s not afraid to wander between emotional territories. There’s a strong and obvious sense of travel, most expertly played out in “Start Of Journey” (the final track!) where the heavily processed rhythmic bed, that may itself have evolved from a piano, is strongly evocative of rolling wheels, while interim piano notes are akin to passing scenery. It’s not a unique idea but it is expressed in a warm and mesmerising fashion. When I was sent this release, I’ll be honest, I first approached it cynically. The mainstream classical music industry seems to thrive on young, attractive-looking new performers for their marketability, sometimes slightly regardless of their abilities; was such a base commercial effect in danger of drifting into more avantgarde classical territory as well? Well don’t worry, once I’d listened to the album I slapped myself hard on the wrist and chastised myself for being so cynical. While there is certainly a slight degree of ego here- few artists in this field put photos of their faces on their covers- this is absolutely NOT a case of style over content. Check out ChainDLK’s interview with Angelina Yershova from last week for more info about the artist’s personal history and thoughts on the work. Most of you have probably never heard of 156, self-described as an "industrial junkyard outfit" in the tradition of Einstürzende Neubauten, Test Dept., Z'ev and other similar entities. 156 is masterminded by Adel Souto, a Miami musician based in NYC. So far 156 has released one CD, four cassette EPs, and one 10" (this one I presume), but Souto has a long history of participating in, and/or leading experimental and avant-garde music projects all the way back to 1985. Those with releases in any format include: Violent Deed (Miami sXe band, 1987); DÄÄb-Soul Destruction (Denver, 1991); Hangman aka Timescape Zero (Miami, 1992); Shroud (improvisational jazz-doom-punk outfit, 1992); None Dare Call It Treason (metalcore sludge band, 2001); Martini Kulture (experimental tape collage project, 2002); Sound 4 Sound (2003-2007, 2009); and also vocals to a track on DNME's 'Last of A Dying Breed' LP,and drums for The Goslings on an album and EP. That's just Adel's musical resume. He's also a writer, artist and photographer as well as occasional lecturer. of the overused genre-tag associated with it. When slowed down to 33rpm (Thunderdrone versions) the pieces take on a different flavor, although (obviously) the components are the same. So at least you have options in your experience of them. important work that brings ancient musical tradition to light in a way seldom heard in this day and age. 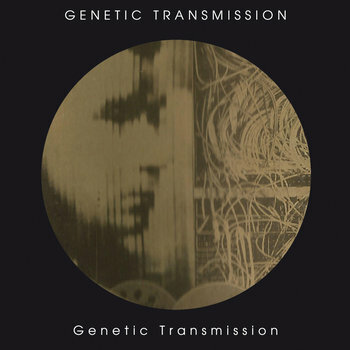 This release marks the beginning of a series of reissue of the works by Genetic Transmission after the release of "Last" which closed the adventure of this polish band. The first one in this series is the debut tape released in 1997 and constructed using only analog sources and instruments at the down of the digital age. Since then Tomasz Twardawa developed his career with a bunch of releases that perhaps deserved a closer attention. As all the track are untitled this album sounds as almost a single track in 9 parts. The first one starts with a menacing atmosphere which seems created by tape loops while the second one deals with noises and a pulsating background. The third one is centered upon a mechanical beat and the fourth is even more obsessive. The fifth track returns to a more noisy environment based on distorted sounds and filtered vocals while the sixth one is closer to certain dub manipulations and the seventh is a tireless juxtaposition of sounds. The eight track revolves around a rhythmic cage which surrounds the synth and the ninth one closes this release with a barrage of sounds. The impressive aspect of this release is that it sounds fresher and newer than a great part of releases under the term industrial so it's a sort of melancholic postcard of an era where artist were more used to confront themselves with an audience rather than wheedle it with a codified language. Almost essential.